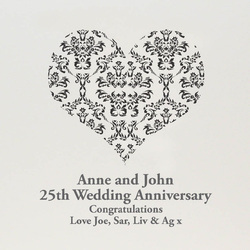 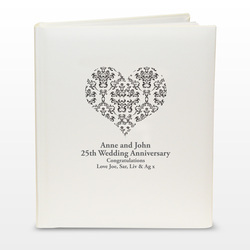 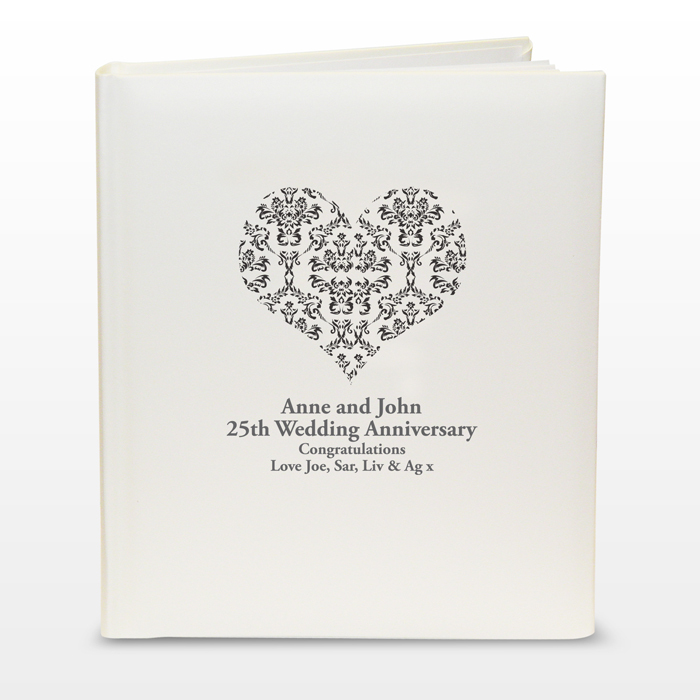 This Black Damask Heart Traditional Album can be personalised with any message of your choice over 4 lines up to 25 characters per line. 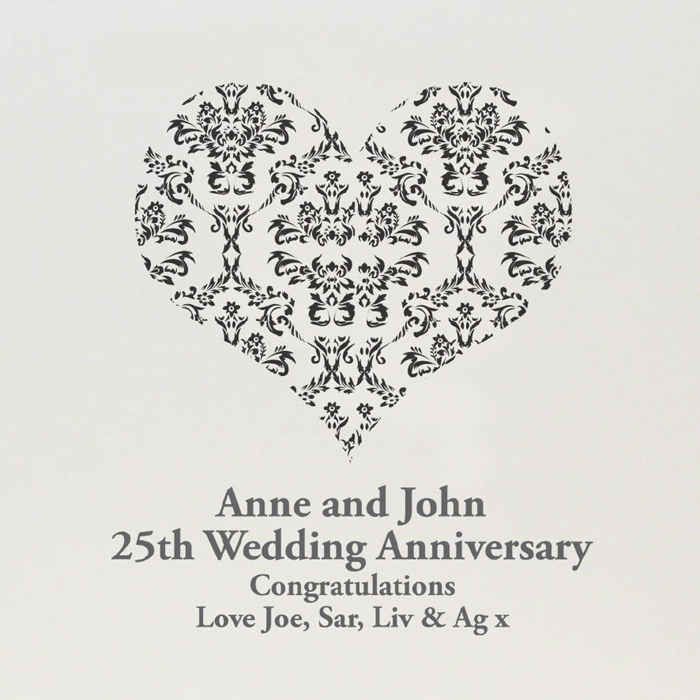 The first two lines are in bold. 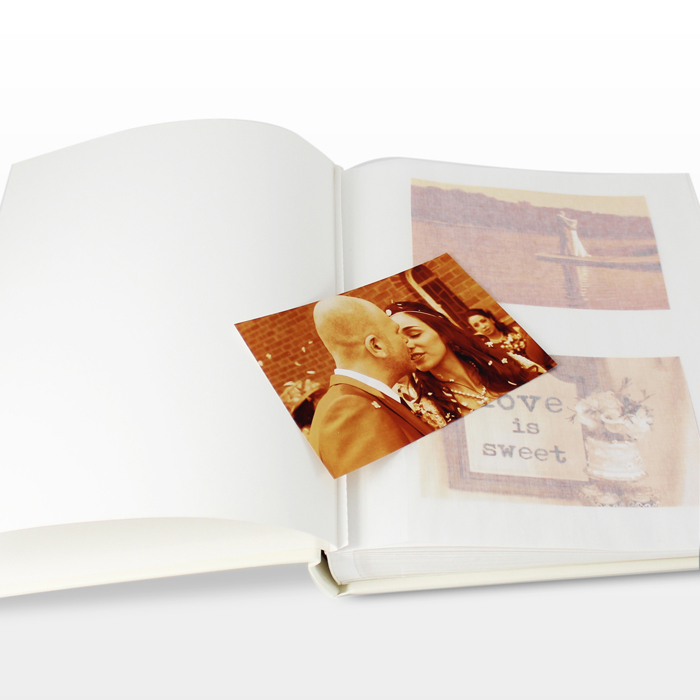 The album has approximately 30 tissue interleaf pages and a leatherette exterior finish.